Several of Iglesias’ work is on display at the Marian Goodman gallery in New York. In the first gallery space visitors are greeted with walls of sculpture that seemingly grow up from the floors and on the walls. The intent of this piece is to “remind us that life lies under everything we stand upon.” Living in a large city covered with concrete everywhere, this is too easy to forget. 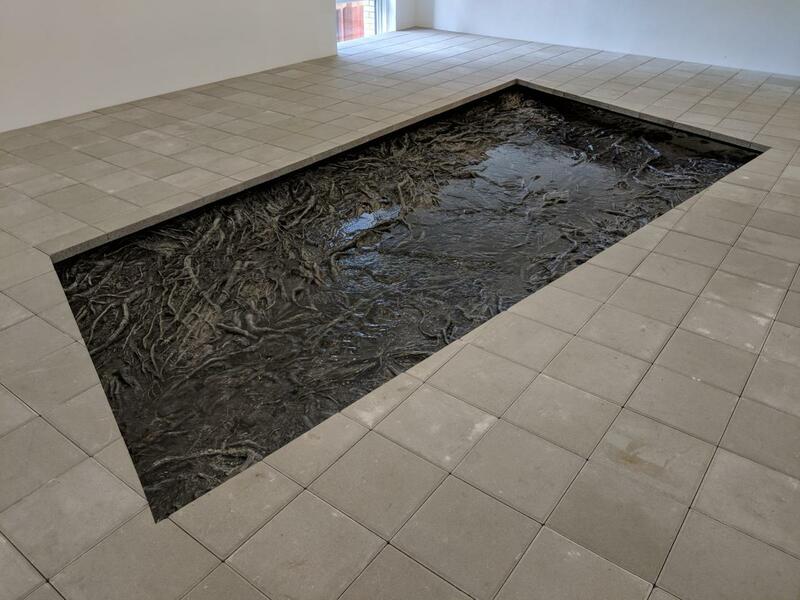 Her work Desde Dentro II (Pozo XIII), in the middle gallery, features a complex, organic-looking cast metal surface with running water draining into the center. This piece reminded me of Anish Kapoor’s Descension, whom I later learned she knew while living in London. In the final gallery lives Phreatic Zone III, another organic-looking cast metal sculpture with running water embedded in the museum floor. While being present with the work, I found it relaxing to listen to the trickling sounds of water from below my feet. It was like being in a forest. My thoughts were then interrupted by the sounds of car horns four floors below, followed by a return to calmness. I wondered if this would be better placed somewhere else, away from loud city noises. Or perhaps this is the right place for it. Much like The New York Earth Room, it’s existence and location in an upper floor space contrasts significantly with its surroundings, making it more poignant and meaningful. Iglesias’ Entwined exhibition at the Marian Goodman gallery contain impressive works that combine the interior and exterior worlds. 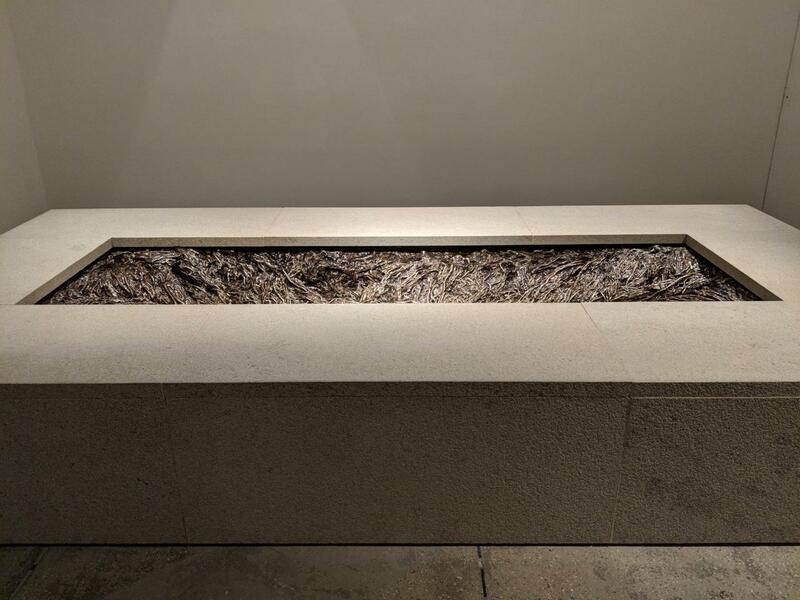 The works motivate the viewer to contemplate the two worlds and serve as a reminder that living things surround us all the time, even when we are standing in a building in midtown Manhattan. Wikipedia contributors. "Cristina Iglesias." Wikipedia, The Free Encyclopedia. Wikipedia, The Free Encyclopedia, 11 Dec. 2016. Web. 10 Feb. 2018. Tate. “Cristina Iglesias – ‘The Viewer is Fundamental in My Work’.” Online Video clip. YouTube, 19 Jan. 2018. Web. 10 Feb. 2018. Marian Goodman Gallery. “Cristina Iglesias: Entwined.” Marian Goodman Gallery. 9. Jan 2018. Web. 9 Feb. 2018.